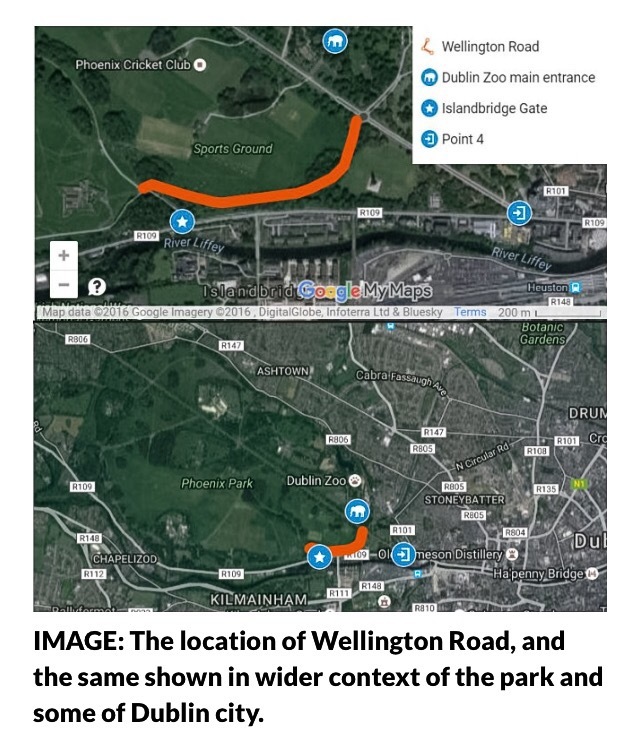 A new two-way cycle path in the Phoenix Park in Dublin will be restricted to a width of just 2.5 metres wide when the traffic lane beside it will be around the width of a lane on the M50 motorway. The Office of Public Works (OPW), which looks after the park, has defended the width of the cycle path under construction on Wellington Road claiming that it is in line with the National Cycle Manual. 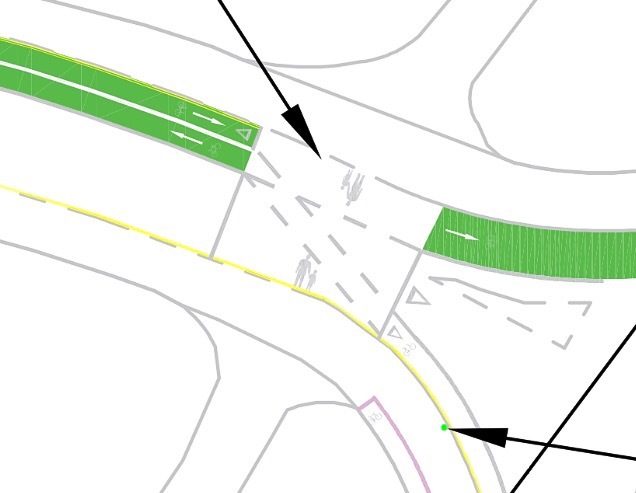 While the width calculator in the cycle manual seems to suggest 2.5 meters is suitable for a “basic” two-way cycle path, it and other guidance highlights the importance of allowing for side-by-side social cycling and for narrowing traffic lanes as a means of traffic calming. 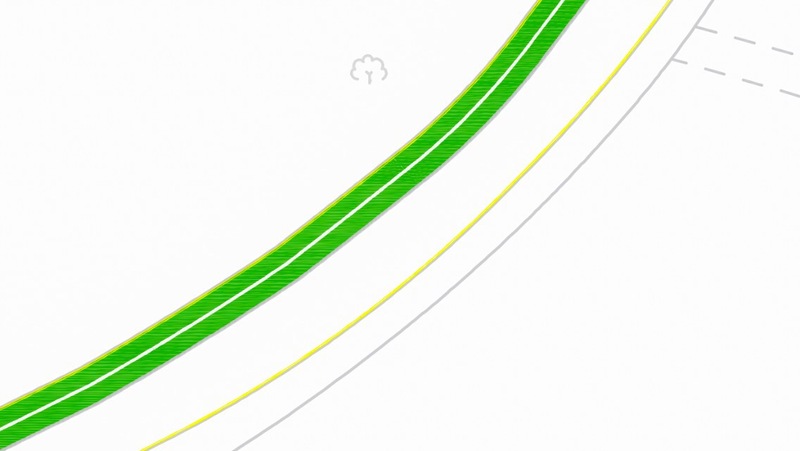 The OPW has so-far not answered repeated questions on the width of the planned general traffic lane, but IrishCycle.com estimates that the existing roadway is mostly around 6 metres wide, which leaves close to 3.5 metres for the one-way general traffic lane beside the new cycle path — that’s the general width of a traffic lane on the M50 where the speed limit is 100km/h. The speed limit in the park is 50km/h. 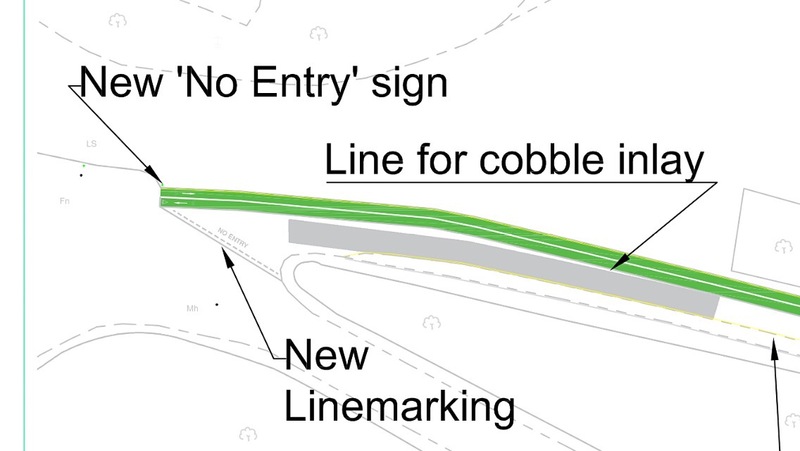 The median is to be cobblestones inserted into the roadway, which will make widening the cycle path difficult after the construction is finished. The best way to discourage parking of cars is to make the roadway as narrow as possible consistent with safety. If a car owner thinks his car may get scraped he will park elsewhere, however if the road is wider they will be happy to park on the cycleway. The park superintendent is reported as stating “It is hoped that the new cycle trail will greatly enhance the amenity of the park for cyclists.” At a width of 2.5m the level of service of the new trail is C, the fourth lowest of five. (This assumes that the effective width of the cycle trail is 2.5m and that it is not further reduced by the height of the cobblestones.) 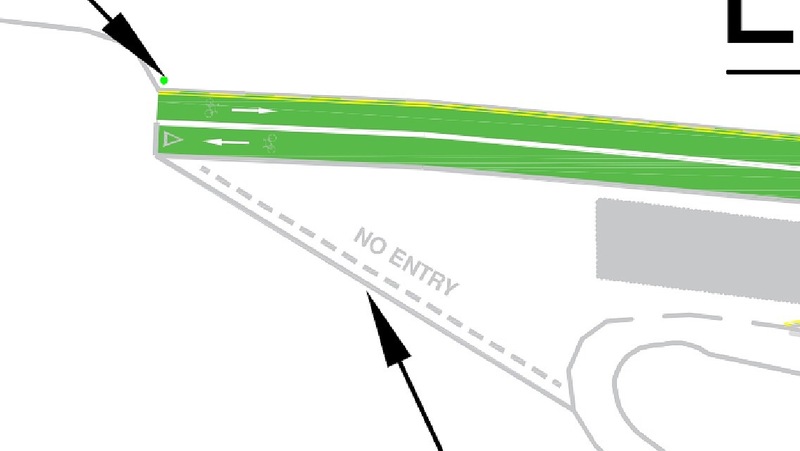 The basic two way from the manual is 1.75m per Direction or 3.5m for a two way track so I doubt that many cyclists will be impressed. 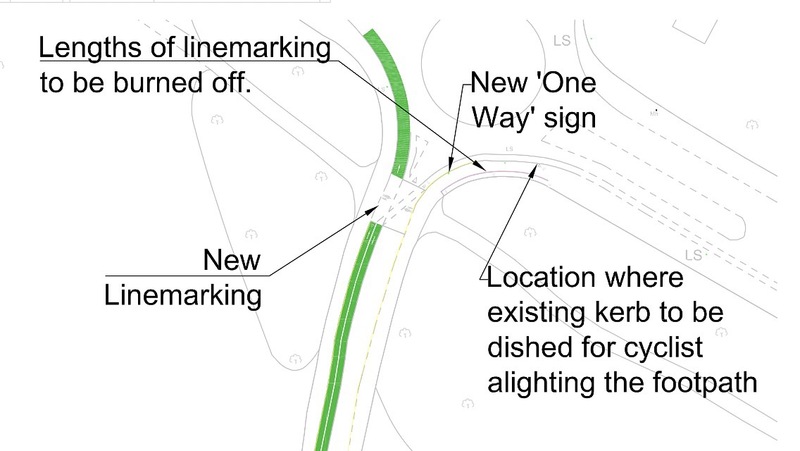 Of all the sections of the National Cycle Manual, the most badly written and most misinterpreted is the section dealing with width and associated level of service. The whole idea of having a manual on line is that it can be easily updated or amended but as far as I am aware the NTA have never made any changes to it. this needs to be amended as a matter of urgency.